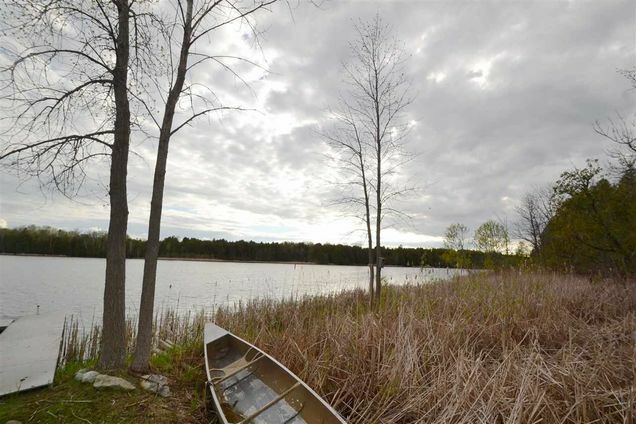 Waterfront lot perfect for a seasonal home or year around residence. Approximately 321' of shoreline on the quiet shores of Forestville's Mill Pond. Just a few steps to the Ahnapee State Trail and Mill Pond Park. Centrally located only 7 minutes to Algoma, 15 minutes to Sturgeon Bay and 30 minutes to Green Bay. This area is perfect for people that like to bike, fish, hike and just sit and relax around a campfire. 1.34 acres of a bit of heaven. Shoreland Zoning. From Sturgeon Bay, Hwy 57 to Hwy 42, south to Cty J, right to Mill Rd to Sleepy Hollow Drive, left to lot on the left. The details on 571 SLEEPY HOLLOW DRIVE: This land located in Forestville, WI 54213 is currently for sale for $44,900. 571 SLEEPY HOLLOW DRIVE is a – square foot land with – beds and – baths that has been on Estately for 175 days. This land is in the attendance area of Southern Door Elementary School, Southern Door Middle School, and Southern Door High School.